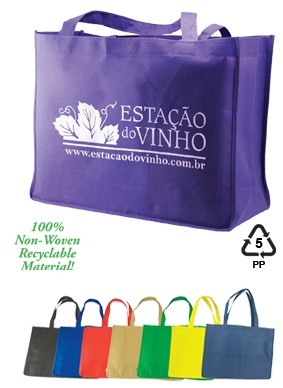 These tote bags are 100% recyclable made with non-woven polypropylene. Pass on an earth-friendly message. 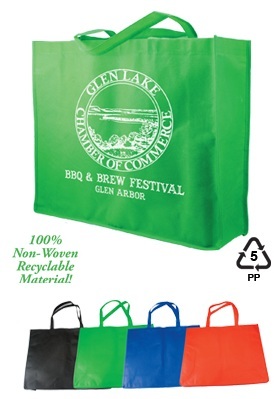 Custom imprint your message on these 100% recyclable totes. Use these affordable earth-friendly tote bags and show your customers your appreciation for them and the environment.